PPC – How Long Does it Take? How long will it take for me to see results in my PPC campaign? Oh, the age-old question. While many clients come to us excited to get started with PPC campaigns, a few weeks and a few hundred bucks later, they start asking when they will see the big results they’ve read about online. We wanted to set the record straight! Here’s the thing with PPC, and really any strategy designed to grow your bottom line – it will take time in order to see results. Not just days, but months. 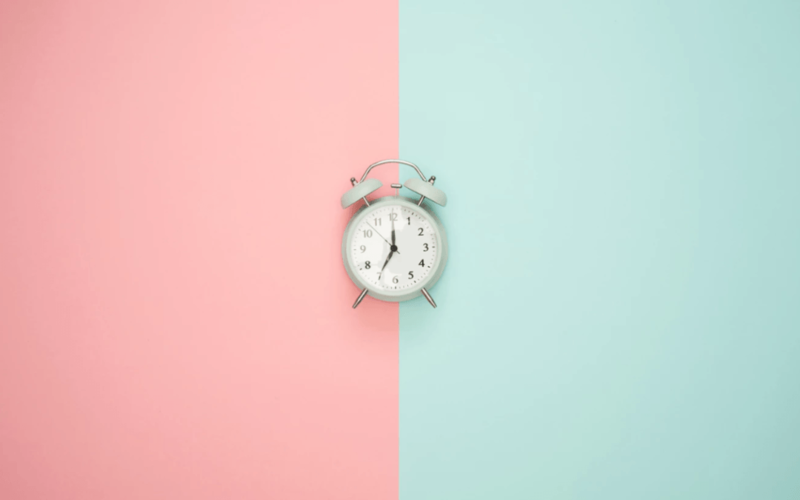 Now, before you hang your head in defeat and write PPC off as a losing battle, we’d like to take a little time to explain why it takes so long to see results from PPC and why that’s actually a good thing for your business! What exactly is a PPC campaign and how does it work? In order to understand why it takes a while to see results from PPC, it’s a good idea to fully understand how PPC works. PPC stands for Pay-per-click and it refers to any advertising that you do in your business where you pay to play – Google Adwords are the usual suspect here, but it also can refer to Facebook ads, Bing ads, and any other service where you pay for the privilege of showing up to your ideal clients in the hopes that they will notice and read your ad, click on it, and then convert into a paying customer. Of course, this brings up the question – who is your ideal client? In other words, who should your PPC campaigns be written to attract? And it is this question that your PPC team will start with. This requires research and strategy. If you’re thinking, well, I’ll probably be able to skip this part because my products appeal to everyone, we’re going to stop you right there. While it is entirely possible that your products or services would appeal to more than one target audience, you can’t target all of them in one ad. Why? Well, in order to do that, your ad would have to be pretty generic, and generic ads don’t convert. Enough said. Once your ideal client is figured out, then you need to ask the question – what do they want? This again takes your PPC strategist back to the research board as they sift through the research and possibly even begin interviewing those ideal clients to get insight into what offer could be made in your PPC ad to draw their attention. Of course after you figure out who your ideal client is, and what offer they would desire, it’s time to figure out what keywords they might be typing or speaking into the search engine in order to find the solution that you represent. This part of the PPC process is similar to SEO in that we’ll look into the search terms that your ideal client will be using that could trigger your ad to show up. It’s important that these be correct in order to not only get your ad to show up, but also show up to the right people in the right stage in the buying cycle. We’ve all had that annoying situation where you are looking for something specific, you type in your search phrase, and up comes an ad using those same words. You click the ad, believing you have found what you’re looking for, only to land on a page not even remotely related. Not only is this frustrating, but it looks really bad for the brand who posted the misleading copy. Taking the time to do the research means you won’t make this mistake and turn off potential clients in the process. Your PPC team will also spend some time researching to see what others in your field are doing – in other words, checking out the competition. When reviewing competitors, we’ll look for what’s working and what’s not. This is vital information because you want your ads to stand out. We probably don’t need to say this again, but it will take time to do this right! Now it’s time to create the actual ad, which includes copywriting and depending on the platform, could also include design. We can hear you asking – Can’t the PPC team throw together some known trigger phrases or use those one and done templates for ad copy that I see floating around on the internet so we can get this campaign rolling? If it were that simple, everyone would be doing it, right? No, your ad must be thoroughly thought out, well researched, and written specifically for the audience you are targeting, all while staying within character limits for the platform you’re writing for. Sound a bit like art, science, and magic? It is. It is also a process that takes time to get right. Once you get all the ducks in a row that are necessary for your ad, the ad team will start split testing to make sure your bucks get the most bang. Split testing can be done in a few different ways, but basically it involves testing one element of the PPC funnel with different deliverables. For example, it could mean creating two different sets of ad copy and seeing which one gets better click through rates. Of course measuring results will mean that the ad will need to be live for a decent amount of time before assumptions are made. Then, once the winning ad or ads are determined, the PPC team will start measuring results, tweaking things as needed, and putting the whole process on rinse and repeat. Now you might be beginning to see why it’s not as quick a process as selecting a random ad, sending it to your homepage, and calling it a day. Ok, I get it, but just how long is this going to take? According to marketing guru Neil Patel, results in traffic from PPC campaigns should be viewable fairly quickly, but actual results from the campaigns? Well, that will take a bit longer. We tell clients to expect at least 3 months before results are apparent. Why does it take so long? It’s not so that your PPC team can rack up billable hours. We promise. It takes time because gaining rank on Google is like building trust in someone new. You can’t just throw something out and expect results. Trust builds over time, and Google gives ranking to ads after they spend some time proving themselves. You see, there are these pesky little things called quality scores. Your quality score will have a big impact on how well your campaign does. It’s based on several factors, including the relevance of the keywords in each ad group, your click through rate (CTR), and the quality of the landing page your ad goes to. If you just re-read that last bit to make sure you heard it right, let us say it again. The quality of the landing page your ad goes to also has a direct impact on how well your PPC ad will do. So, you know what that means? Your PPC campaign requires the creation of good landing page design and copy. Even if you have amazing landing pages (like the ones we create for our clients), it takes time for that page to get ranked in Google and become a valid source. So, yes, you can see some results from PPC early on, but over time the results, like a fine wine, will get better and better. Once the campaign goes live, you’ll also need account maintenance which includes analyzing and revising keywords, adjusting your bid amounts, testing new ads, and optimization. A great study that shows how PPC can be improved month by month comes from a UK agency that broke down a PPC campaign month by month. It took almost a year to get the desired results, and this is a reasonable timeline. We always say that it takes at least 3 months to get any tangible results, so if you aren’t willing to invest that time, then PPC might not be the best strategy for you. So, what do you think? Are you ready to play the long game of PPC and reap the rewards for months and years to come? Here at Zonion we help brands get results with our robust PPC campaigns. Get in touch with us here to find out how we can help take your business to the next level.